David Dewhurst is a strong Texas Conservative, a classic “citizen legislator,” who has only been in politics for about a dozen years. He ran for office for the first time when he was in his 50′s, winning his race for Land Commissioner in 1998 before his election to Lieutenant Governor in 2002. Last fall, I wanted Dewhurst to become Governor when Governor Rick Perry went to the White House, so I donated to Ted Cruz. From day one, I hated the way the Cruz team lied about Dewhurst and his record. I complained to the staff and Cruz at the Texas Republican Women convention in November and was in turn attacked by the staffers. Both grew up in the Houston area, but Dewhurst attended Lamar High School, while Cruz attended private schools in Katy. Both joined the debate teams in high school, but Dewhurst did it in an attempt to overcome his stuttering. Dewhurst played basketball for Arizona to put himself through college; Cruz went to Princeton and Harvard. Dewhurst proved himself in the Air Force and then the CIA; Cruz founded the Latino Law Review at Harvard and went to work for government agencies. Dewhurst is a private businessman who built his company from scratch, surviving the slump in the ’80′s, and has succeeded outside of politics; Cruz has always been an employee and never ran a business. Cruz is 42 and could potentially be in the Senate over 30 years. Other than his abrasive manner and early unwise decision to tear down a good man using poor ethics, Cruz is an unknown. All we know for sure is that he is capable of doing what he’s assigned to do. He defended the laws that Dewhurst managed to pass in a contentious Texas Senate. In his current job, he accepted the assignment to defend a Chinese conglomerate’s patent infringement in lawsuit by an US citizen whose technology was stolen out from under him. In contrast, as pro-life and medical ethics activist in Texas, I’ve watched Lt. Governor Dewhurst work in Austin. I’ve seen him bring together opposing factions to hammer out Bills – at least once he called us all together in his office the last day a Bill could come up for a vote, ensuring that we left with an agreement. 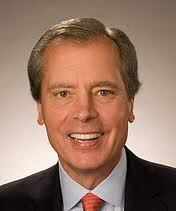 Every criticism of Dewhurst is based on half-truths and lies. He didn’t make it on “daddy’s money.” He didn’t use illegal or unethical tactics to pass last year’s budget Bill. He hasn’t increased spending in Texas since 2002. For one thing, the way that Texas measures the debt changed after the 2001 session by a popular vote for a Constitutional amendment. Our State has maintained a strong fiscal position in spite of Federal Courts forcing increased Medicaid spending, “Robin Hood” education spending, and about 1000 new immigrants a day moving in from the rest of the Nation. Texas’ 82nd Legislature passed the Sonogram Bill, the Voter ID Bill, denied illegal aliens a driver’s license and ensured that Texas law allows deportation of illegal alien criminals after they serve their time. Yes, spending was doubled on border security and maintained at previous spending on K-12 education, but spending was cut in other places. The Rainy Day Fund was protected so that it will be available if needed to cover Medicaid and education spending at the end of this budget cycle. For a current look at David Dewhurst’s leadership, read the “Interim Charges” to Texas State Senators, available at the Lieutenant Governor’s website.